Bi-annual preventative maintenance is essential to ensure that your air conditioning and heating equipment functions at its peak performance. If preventative maintenance is not performed regularly, your system could be at risk for premature failure. Oftentimes, a simple maintenance visit will reveal easily fixable problems, that if left alone, could turn into very costly and unnecessary repairs later. 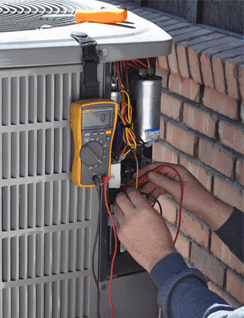 Preventative maintenance programs for air conditioning and heating equipment include regular inspections each year. During these inspections, proper operation of the equipment is checked and verified. We can provide flexible maintenance options to fit your specific needs and budget. Click on a button below to see what our thorough maintenance inspections include.